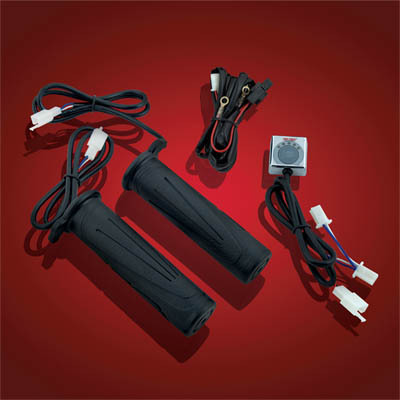 Rice Lake, WI – Big Bike Parts® Inferno™ Heated Grips are the standard in heating power sports rides. 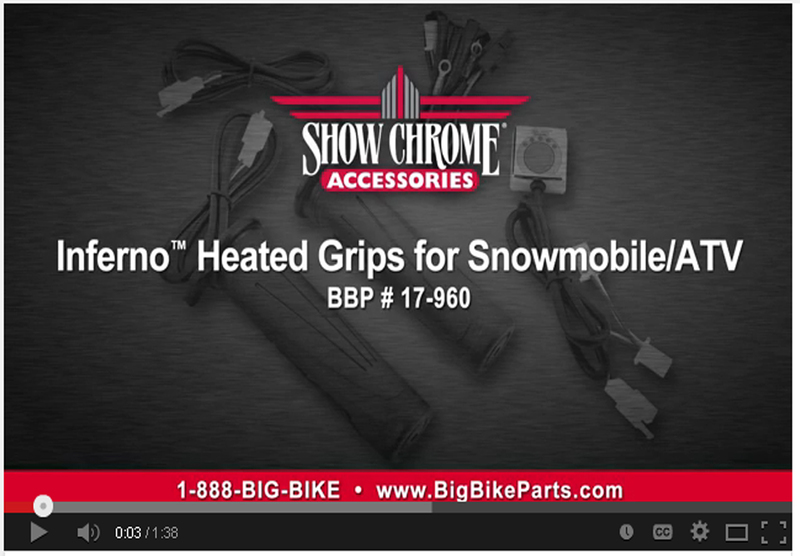 When it comes to cold weather riding, Big Bike Parts® Inferno™ Heated Grips do not take a backseat to anyone. The key to having warm hands is getting the heat to the rider and not cold soaked handlebars. That is why Big Bike Parts® tests their grips to maintain a whopping 170° F, which means we can heat the actual grip and your hand versus losing it all to the cold. The Inferno™ Heated Grips work with open or closed ended bars and use Big Bike Parts® industry leading E-Z™ controller for easy single button control with 5 pre-set heat settings. With each touch of the button, the next level is chosen, making this the most efficient controller available. New smart logic design allows the activation of an optional battery saver mode which will shut the grips off if your battery voltage falls below 12.5 volts. These new grips are for 7/8” snowmobile and ATV bars, no throttle sleeves. Other sizes of Inferno™ Grips are available for 1” and 7/8” motorcycle bars. 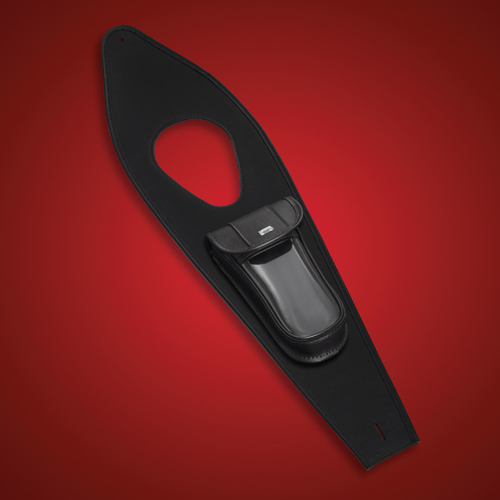 Rice Lake, WI – Hopnel™ introduced its first Tuxedo Tie™ tank divider in 1997 for the Valkyrie and has continued to update this venerable fitment along with many other cruiser fitments over the past 17 years. The newest offering from Hopnel™ is the new Black Classic series with double layered face pouch and simple decorative bar concho. All pouches include EZ Lock™ mounting that allows the pouch to be removed with a twist and replaced with numerous optional accessories such as: Map Pouch, Beverage Bottle and EZ Carry™ concealed carry pouches. 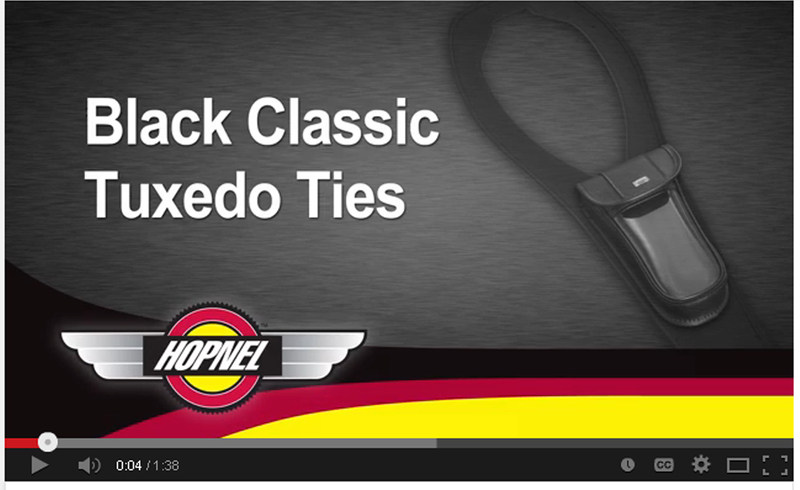 Made in the USA with classic styling, these new Tuxedo Ties™ not only add a convenient pouch for cellphones, GPS, gloves and garage buttons, but dress up your tank and can protect from some unwanted scuffs and scrapes. Rice Lake, WI – Big Bike Parts® is known for its quality Plug ‘N Go electronic trailer wire harnesses and the protection they afford. 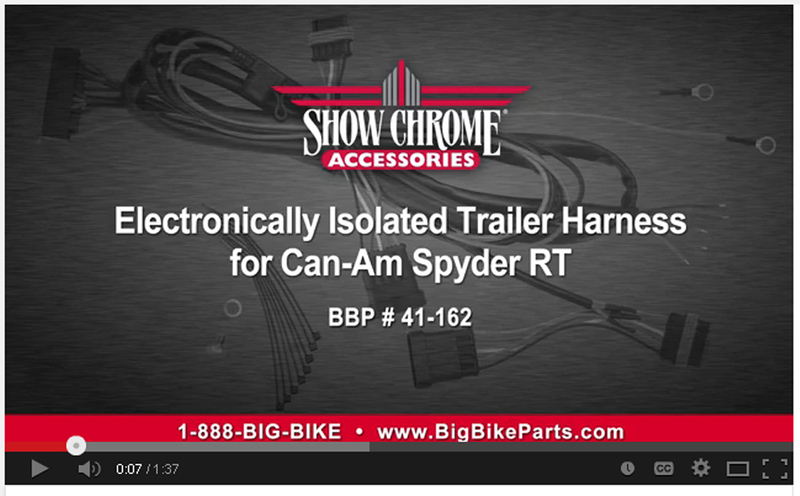 Their newest Electronically Isolated Trailer Wire Harness for the Can-Am Spyder RT is no different. This harness isolates the load between the motorcycle and trailer through the use of four fully automatic circuit breakers to prevent electrical feedback. The heavy duty circuit board can handle a continuous 16 amp steady load, with further protection provided with a separate 15 amp inline fuse from the power source. 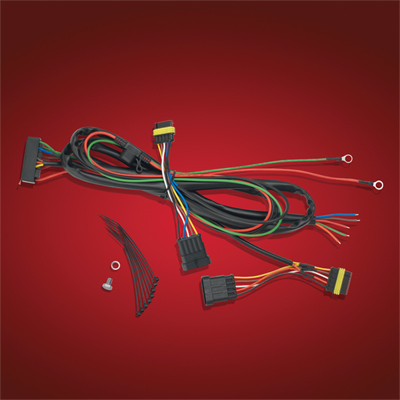 Easily plugs into the OEM Can-Am RT wire harness with no on bike splicing required. Works with 5-pin trailer connectors, not included. This email was sent to bbp-news@bigbikeparts.co by info@bigbikeparts.com from www.bigbikeparts.com. Email or links not displaying correctly? Click here to view the online version. Rice Lake, WI – Big Bike Parts® has truly become your parts supplier with its own growing line of proprietary maintenance products. Big Bike Parts® latest developments introduce two all new Air Filters for the Can-Am Spyder RS/GS and RT. These air filters are designed to exceed OEM quality at a fraction of the cost. They are a direct replacement for OEM # 707800177 and # 707800306. Welcome to Big Bike Parts, Inc.